Well, for those of you interested in the debate about biblical scholarship and bias, as in Pope Emeritus Benedict XVI’s famous lecture from before becoming pope, “Biblical Interpretation in Crisis,” or in my book, Three Skeptics and the Bible, my formal response to Thomas L. Thompson was just published. Inspired by Benedict XVI’s work, I had written a article entitled, “On Biblical Scholarship and Bias.” The important Old Testament scholar, Thomas L. Thompson, a leader of the so-called Copenhagen Minimalist School of Biblical Scholarship, wrote a scathing response, which he entitled, “On Myths and Their Contexts: An Issue of Contemporary Theology? A Response to Jeffrey Morrow.” The editors of the magazine were kind enough to publish my response to Thompson, entitled, “Explaining Bias and the History of Modern Biblical Scholarship: A Response to Thomas L. Thompson.” For more on this history, see Three Skeptics and the Bible, or, better yet, check out Scott Hahn and Benjamin Wiker’s, Politicizing the Bible: The Roots of Historical Criticism and the Secularization of Scripture 1300-1700. Were the Deuterocanonicals Ever a Part of the Jewish Canon of Scripture? The biblical canonization process within Judaism is quite complicated. It is frequent for Protestant scholars to take Josephus’ use and list of Scriptures as representative of the basic canon of Pharisaic Judaism–which led to rabbinic, and eventually modern Judaism–arguing that the canonization process within Judaism predates the time of Jesus. Although the Council of Jamnia (or Yavneh) [end of the first century A.D.] is NOT likely the place where the Jewish biblical canon reaches its final form, that meeting did address the canonical status of certain books—Ecclesiastes and Song of Songs.1 Scholars remain divided about the closing of the Jewish biblical canon. In my opinion, it seems likely that it is even later that the canon becomes more fixed within Judaism. Why Did the Catholic Church Add Books to the Bible? I often get asked the question, “why did the Catholic Church add books to the Bible?” We hope to do more posts on the canonization process of Scripture, but for the moment, I thought I would respond to this question with a brief post. This question often comes to me from Protestants who assume that Christians always had a Bible that matched a modern Protestant Bible: 39 books in the Old Testament and 27 books in the New Testament. Since Catholic Bibles include 46 books in the Old Testament (but likewise share the same 27 book New Testament with Protestants), those asking me this question often assume that the Catholic Church added 7 books to the Old Testament at some point in the medieval period. These 7 books Catholics refer to as deuterocanonical (second canon), whereas Protestants often refer to them as apocryphal (hidden books, i.e., books that do not belong). 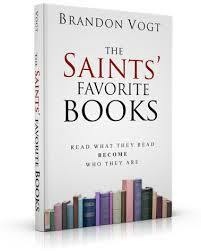 These books are: 1 & 2 Maccabees, Tobit, Judith, Wisdom of Solomon, Sirach, and Baruch.